Ask anyone who has been to Bangkok what their ‘must see’ list of the city entails, and without fail they’ll include The Grand Palace. This half-day sightseeing tour in Bangkok can be taken in the morning or afternoon and will allow you the opportunity to explore the complex, accompanied by a local guide. 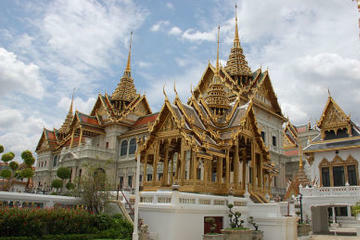 The Grand Palace Complex is home to a number of attractions including Wat Phra Kaew (Temple of the Emerald Buddha).